The Madison Valley of Southwest Montana supports abundant wildlife, with over 7,000 elk, 1,500 pronghorn, and 1,000 mule deer wintering here. The valley is crisscrossed with fencing, most of which was built at a time when the impacts of barbed wire fences on wildlife were not yet understood, and these fences pose a challenge to wildlife when crossing. 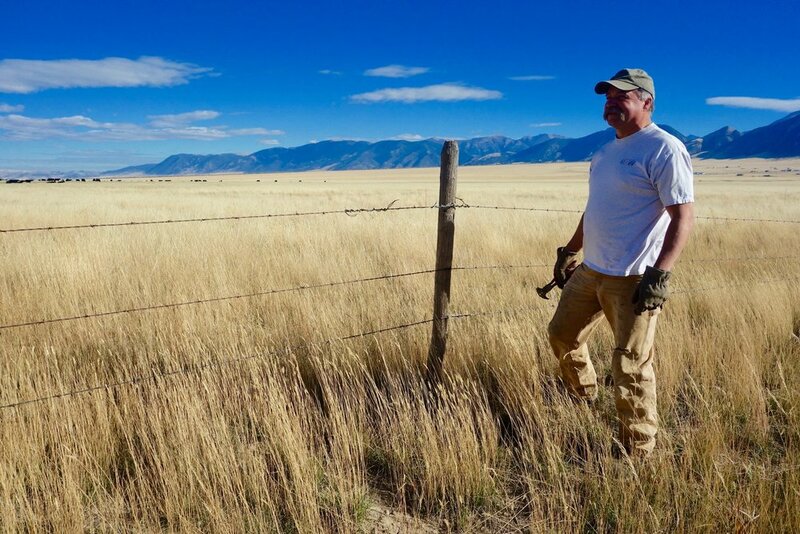 Many ranchers see the benefits of wildlife friendly fencing but face high costs, which can be $5,000 per mile to remove and $10,000 per mile to convert to friendly fence. Fences built to manage livestock have unintended consequences, as the height that keeps livestock contained can be difficult for ungulates to cross. In addition, many ranches in the West are being converted to subdivisions that retain remnant fences or result in new parcel boundary fences that are often unfriendly to wildlife. With this increase in human presence, there is more pressure on wildlife to navigate fences. In the process, animals can become separated from the herd or their family group or entangled in fence, which often leads to their death. We aim to overcome this wildlife stressor by providing cost-share opportunities with landowners to ease the daunting cost of replacing fence. To date, we have built 2 miles of wildlife friendly fencing and removed 5 miles of unfriendly fencing. By hosting volunteer workdays to remove fences on ranches as well as tours of properties that utilize different friendly fence designs, we are building a broader and more engaged community of new residents that are leaning how they can live with wildlife. By increasing the amount of wildlife friendly fencing, we can decrease unnecessary wildlife mortalities, stress, and family separations, as well as increase the ability of wildlife to move naturally across the landscape. We also improve fence conditions on ranches, requiring less maintenance when wildlife crossings go wrong. This solution shows concrete, mutual benefits for both people and wildlife, demonstrating a local commitment to finding win-win strategies to share what is becoming an increasingly more crowded landscape. This project began out of the interest of a local student and son of a Madison Valley ranching family, Chance Story (middle), who has worked to highlight the need for wildlife friendly fences. He has demonstrated the willingness of wildlife to adjust their movements to take advantage of friendly fences and developed innovative visibility adaptations to known friendly fence design. Chance's story demonstrates how a young person can make a real difference towards building wildlife conservation solutions in a way that helps both his ranching community and the wildlife he values. Interested in learning more about wildlife friendly fencing?